This is the FINAL Direct Consultation with Children (DCC) Course! Please Note: This is your last opportunity to attend the FINAL Direct Consultation with Children course to be run in its current two day format. The Family Justice Review and other developments have clearly put the ‘the voice of the child’ at the heart of family proceedings. As mediators we have always sought and valued their view. Our FMC Mediation Code of Practice requires us to directly consider the voice of children and young people over ten years old, where appropriate. This two day intensive course, delivered by use of presentations, case discussions, role-plays and group exercises, meets current requirements of the Family Mediation Council for those wishing to directly consult with children in mediation. The assessed course includes some post-course work to reinforce learning acquired during the two days. Open to experienced family mediators and collaborative practitioners, with experience in dealing with children, who wish to acquire the skills and techniques required to consult directly with children. These skills and techniques can then be used as part of their family mediation practice in appropriate circumstances following FMA policy, and as a child consultant within Collaborative Practice. 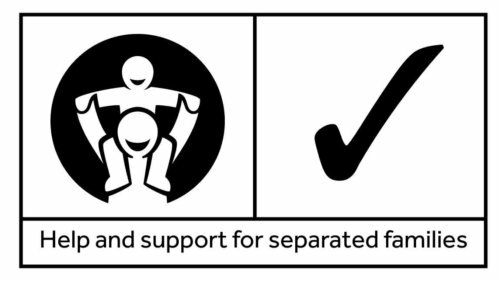 As you are already aware, FMC has agreed updated standards for ‘Child Inclusive Mediation’ training and practice, for implementation from 1st September 2018. The new ‘Child Inclusive Mediation’ (CIM) training course, starting in autumn 2018, will be three direct training days with pre and post coursework (40 hours in total) preceded by attendance at a one day ‘CIM Awareness Course’. DCC trained mediators, along with the new CIM trained mediators, will be required to undertake “CIM Update”/child specific CPD in the future, in addition to their usual mediation CPD, within their three year FMC re-accreditation cycle.